Posted March 25th, 2019 by Matt Doll. In the last evening hours of the legislative session in 2015, Minnesota citizens lost their voice. The Citizens’ Board was established in 1967 alongside the creation of the Minnesota Pollution Control Agency and for 48 years existed as an avenue for 8 citizens appointed by the Governor and approved by the State Senate to serve as a check and balance on the MPCA and its Commissioner. Legislation to eliminate the Board was added to an omnibus bill on the final night of the tumultuous 2015 session and reluctantly signed into law by Governor Mark Dayton. 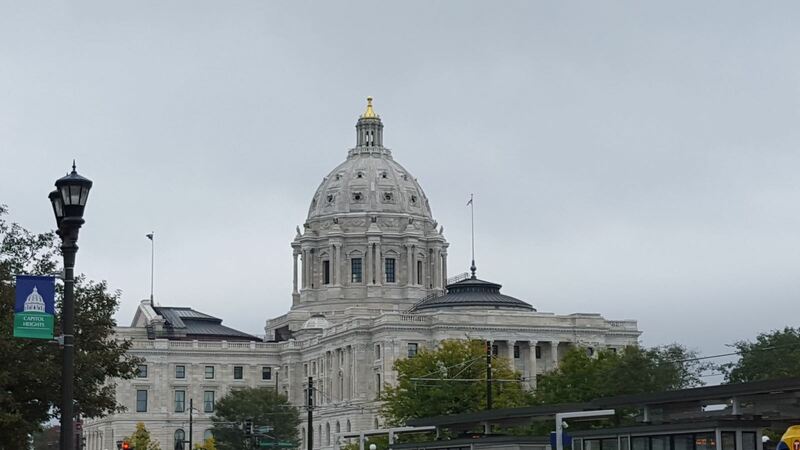 On Thursday, the Minnesota House Environment and Natural Resources Finance committee discussed a bill that would help restore that voice — a major tool for democratic, participatory decision making on Minnesota’s environment. HF 973 would restore the MPCA Citizens’ Board. Minnesota has a long tradition of active citizen engagement in the governance of our state, attested to by our high voter turnout and institutions like the Citizens’ Board. Established in 1967, it embodied the ethos that decisions affecting the health and well-being of ordinary Minnesotans should take ordinary Minnesotans’ knowledge and ideas into account. The Board primarily acted as an advisory body for the MPCA, advising the agency as it considered pollution permits, environmental impact statements, and other major actions. The Board members tended to come from a variety of backgrounds and areas of the state, and they were similar to volunteer positions in that they received only a small per diem fee for their semi-monthly meetings. That isn’t to say that they did not benefit from expert knowledge: the Board had the responsibility to collect and consider letters and other input from thousands of concerned Minnesotans across the state. Under some circumstances, the Board could overrule the MPCA Commissioner’s decision if they found that the agency was making a detrimental decision. It was in the aftermath of one such overruling in 2015 that the Legislature abolished the Board. The Citizens’ Board had chosen to demand that a proposed cattle feedlot proposal go through a thorough Environmental Impact Statement process, which the MPCA considered unnecessary under the law. The Citizens’ Board contended that the MPCA’s decision was far too narrow and used its veto power accordingly. This decision presented an obstacle to pollution and the feedlot’s financial interests, and legislators responded by pushing to eliminate the Board. However, the case against the Citizens’ Board wasn’t made in public view or broad daylight. At Thursday’s hearing, League of Women Voters volunteer Gwen Myers (a member of MEP’s Board of Directors) said: “There had been no bill to eliminate the Citizens’ Board, there were no hearings, and no public testimony was taken, before this open and transparent governmental board was abolished in the middle of the night.” Legislation to eliminate the Board was added to an omnibus bill on the final night of the tumultuous 2015 session and reluctantly signed into law by Governor Mark Dayton. MEP and our partners are strongly supportive of undoing the stealthy abolition of the Citizens’ Board. In addition to Myers, MEP Executive Director Steve Morse testified in favor of restoring the Board and reinstating its powers. MEP also submitted a letter signed by 20 other organizations to support this legislation. Fortunately, the bill passed out of the Environmental Finance committee for consideration in the Legislature’s budget. While Minnesota has many beneficial environmental policies, our laws are often inadequate to protect our communities from pollution and take citizen input into account. The ability to fill those gaps is what made the MPCA Citizens’ Board such a unique and valuable tool, and makes it worthy of restoration today.